The SPREAD ZONE OFFENSE is equally effective versus all half court zone defenses. It is also equally effective if you have or don’t have a big man inside. But it is especially useful to a small team that does not have an inside post player. The offense shows techniques to score inside and out regardless of size or defensive formation. Also included are coaching tips for different phases of the game as well as some AWESOME CONDITIONING techniques. 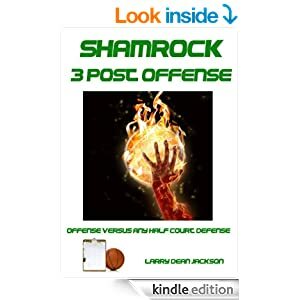 This entry was posted in BOOKS, Offense, Zone Offense and tagged 5 out offense, basketball offense, coaching basketball, open post offense, zone offense on April 2, 2014 by admin.